Narhar Kurundkar (1932-82) was a well-known thinker and critic in Maharashtra. Through his books in Marathi and through various lectures related to such varying disciplines as history, politics, dramaturgy, literary criticism, aesthetics, fine arts, he contributed to the cause of education and culture in Maharashtra. He offered original and unbiased incisive analysis of manifold challenges and complexities of contemporary social, political and cultural environment. Deeply influenced by nationalist ideology and the Rashtra Seva Dal movement in Maharashtra, he firmly believed that it was a duty of our intellectuals to serve society in every possible way. He believed quite unambiguously that the place of the intellectuals was to be on the side of the underdog, to question political masters and confront existing orthodoxies and insisted that the purpose of intellectual’s activity is to advance human freedom and knowledge. 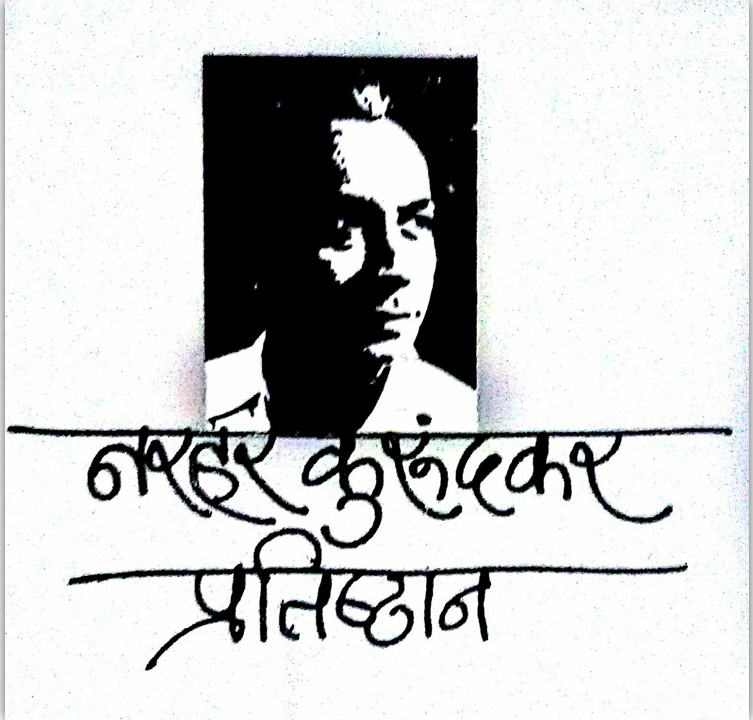 In accordance with his firm conviction that intelligentsia had a wider role in terms of spreading awareness in society, he used to travel all over Maharashtra and even outside to give lectures on various issues related to literature, history, contemporary politics, questioning existing orthodoxies, rigid mindsets and inequitable power relations as well as enlightening people on various socio-cultural issues. 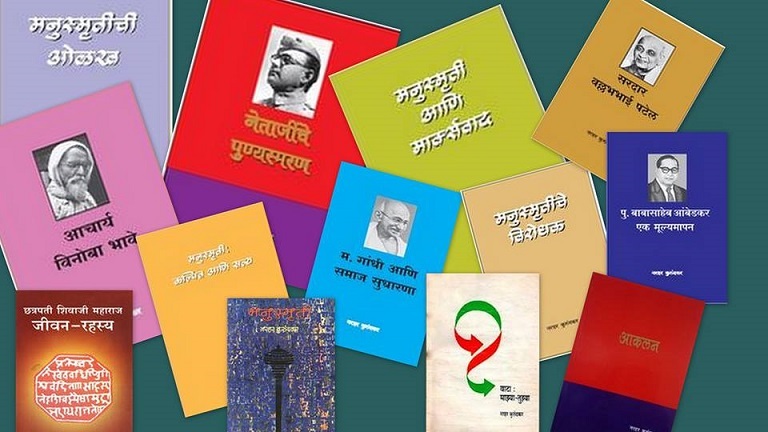 Narhar Kurundkar’s multifaceted scholarship is reflected in the large variety of his writings. Two things stand out in his writings: his unbiased progressive secularism and rationalistic logical analysis accompanied by a strong sense of social obligation. He was a stubborn optimist with a lot of ideological fervor about him. His socialism and broadly leftist ideological orientation did not come in the way of his individualism. In other words, he never imprisoned his thinking to any rigid ideological outlook. Progressive rationalistic ideology, social commitment and liberal humanitarianism were cornerstones of his life. 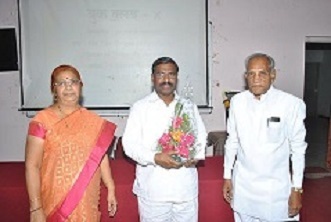 During his life time with lectures, writings and encouragement to young writers and poets Prof. Kurundkar instilled confidence within people of Marathwada. He provided thought leadership to various social and cultural activities. School of Art, schools of music, research center for history, Marathwada Vikas Andolan are some of the examples. 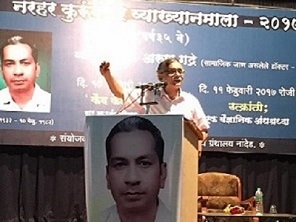 Prof. Kurundkar had become synonym for the Socio-cultural movement of Marathawada. His untimely death had created a void in socio-cultural arena. To fill up this void and continue the intellectual legacy of Prof. Kurundkar, prominent personalities from Maharashtra came together to establish a public trust by the name of “Narhar Kurundkar Pratishthan”.Among various other objectives of the trust, one objective is to create a think tank, which will serve as a resource center for contemporary analyst, social activist and politicians in India. To achieve this objective, Narhar Kurundkar Pratishthan in association with Nanded Education Society has started “Narhar Kurundkar Advanced Studies And Research center” . This website is another initiative to use internet media to reach like minded people. प्रा. नरहर कुरुंदकरांची पुस्तक ई -बुक माध्यमातून डेलिहंट या अँड्रॉइड ऍप वरती उपलब्ध आहेत. वाटा:माझ्या, तुझ्या या पुस्तकाचा डॉ . अभय दातार यांनी इंग्रजी भाषेत केलेला अनुवाद "पाथवेज टू अ प्रोग्रेसिव्ह इंडिया" या नावाने डेलिहंटवर उपलब्ध आहे. नांदेड येथे नरहर कुरुंदकर व्याख्यानमालेचे ३५व्या वर्षी सामाजीक जाण असलेले प्रसिद्ध लेखक डॉ. अरुण गद्रे यांचे , "कैद केलेले कळप" व "उत्त्क्रांती: एक वैज्ञानिक अंधश्रद्धा" या विषयावर व्याख्यान झाले त्या प्रसंगांचे छायाचित्र. नरहर कुरुंदकर प्रगत अध्ययन व संशोधन केंद्राचे नूतन संचालक म्हणून डॉ अशोक सिद्धेवाड ( प्रमुख,राज्यशास्त्र विभाग,पीपल्स कालेज ) यांची दि.७ मार्च २०१७ पासून नियुक्ती करण्यात आली आहे.कुरुंदकर प्रतिष्ठानच्या अध्यक्ष प्रा.सौ.श्यामल पत्की व विश्वस्त प्रा.मधुकर राहेगावकर यानी त्यांचा सत्कार केला.